Limited apartments remaining. Visit the Aqui Promenade website to register your interest or visit us at 2 Glenti Place, Docklands. 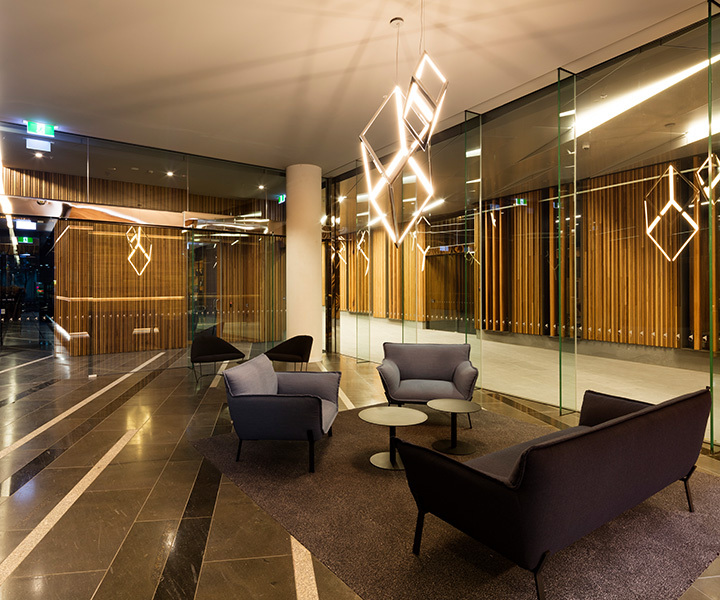 Aqui Promenade is a luxury apartment building designed by award winning architects, Woods Bagot. Two towers, a bronze and a silver, appear like masts on the waterfront. The glass detailing has been designed to give the effect of reflecting water, creating a calming yet majestic facade. Step inside Aqui Promenade and experience spacious proportions and an abundance of natural light. 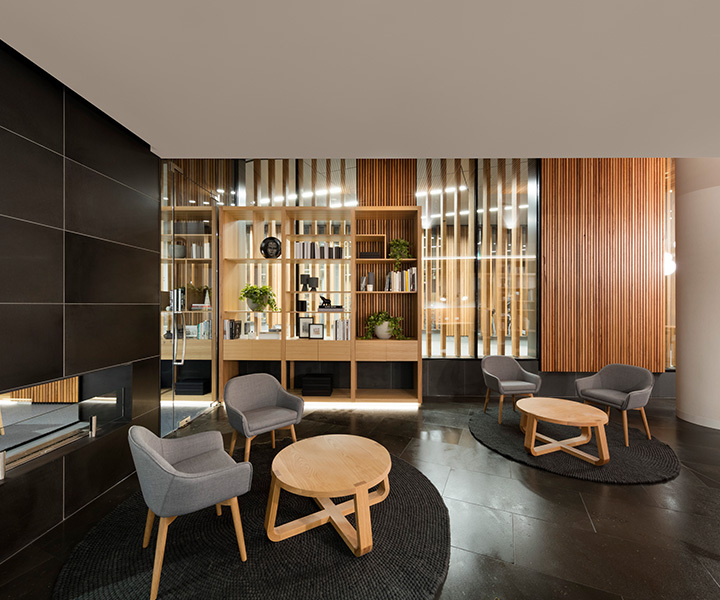 Aqui’s interiors are characterised by clean lines and modern silhouettes creating distinctive, contemporary environments. Floor-to-ceiling windows surround the apartments giving residents access to natural light and beautiful views. The generous proportions maximise the natural assets of the surroundings. Classic maritime details enhance the look and feel of these high-quality spaces. 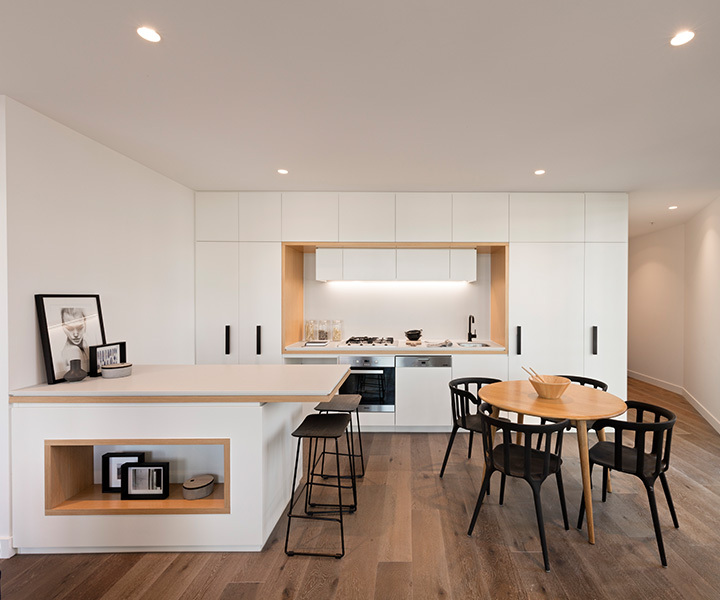 Black tapware, timber veneer detailing, stone benchtops and splashbacks add the finishing touches to these distinctive environments. Look out in all directions and see a different side of Melbourne. 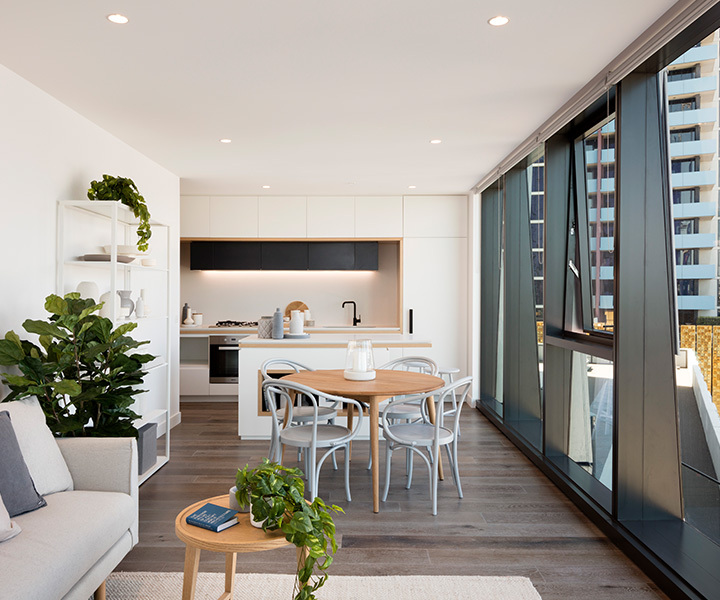 From one aspect gaze over the abundant green space of the 4,609m2 urban park at your doorstep, from another look out to the twinkling lights of NewQuay. Each vantage point is a unique experience and gives you a different perspective on your surroundings.